Explore perfect Pawleys Plantation with RE/MAX Southern Shores. Pawleys Plantation, a 2,700-acre private community, has miles of secluded beaches and quiet marshes. Its unique combination of pristine natural surroundings with a casual, yet sophisticated atmosphere gives Pawleys Plantation is own special character. Pawleys Plantation’s real estate offerings include elegant oceanfront homes, with exceptional amenities and some of South Carolina's most beautiful coastal scenery. RE/MAX Southern Shores agents can assist you in the search for the perfect Pawleys Island retreat! The Plantation boasts an 18-hole Pete Dye designed golf course that is one of the top ranked golf courses in the state. A private club, it offers play only to Pawleys Plantation members and their guests. For tennis lovers, the activities center has eight clay courts and two hard courts, suitable for evening play. Pawleys Plantation is comprised of over 600 acres of natural beauty within 3 miles of public beach access. 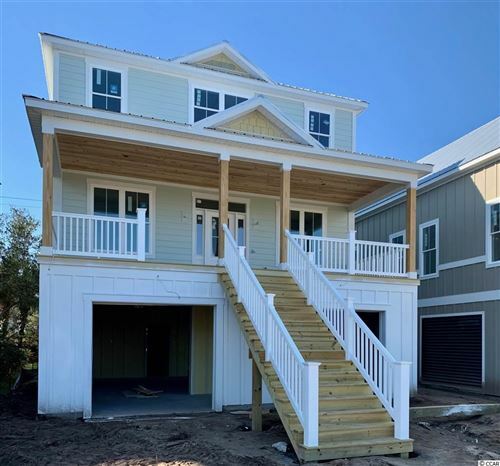 The community is gated and is developed around the natural beauty of salt marshes and a signature golf course. You'll find a "beachy" feel in Pawleys Plantation where family homes, town homes and condos are featured. Quarterly fees for single-family residents include security, common areas, trash and basic cable.